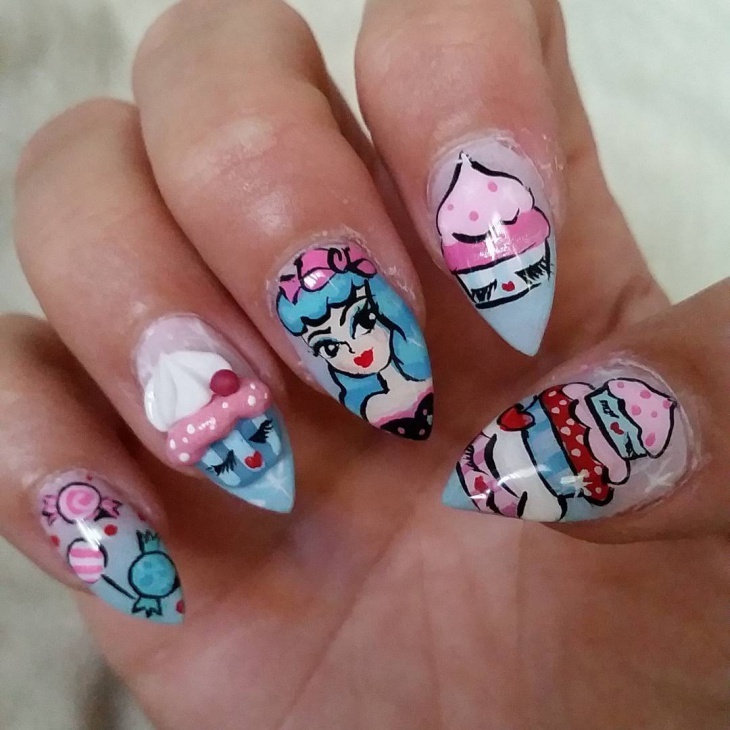 We got quite hungry after looking for these nail art designs. We even went and picked up a few cupcakes from the nearest shop. 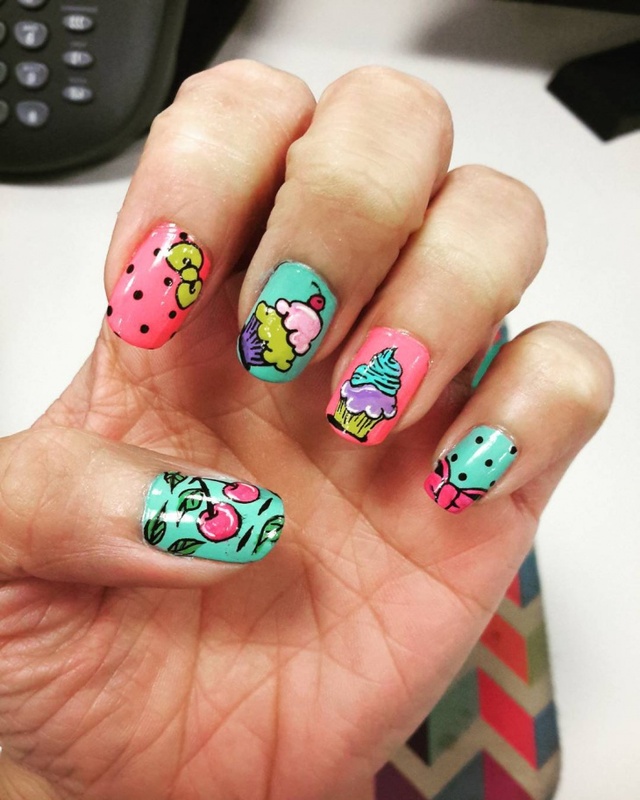 Won’t they look pretty as nail art designs? We decided they would; so we looked for them all over the Internet and found some really cute designs. 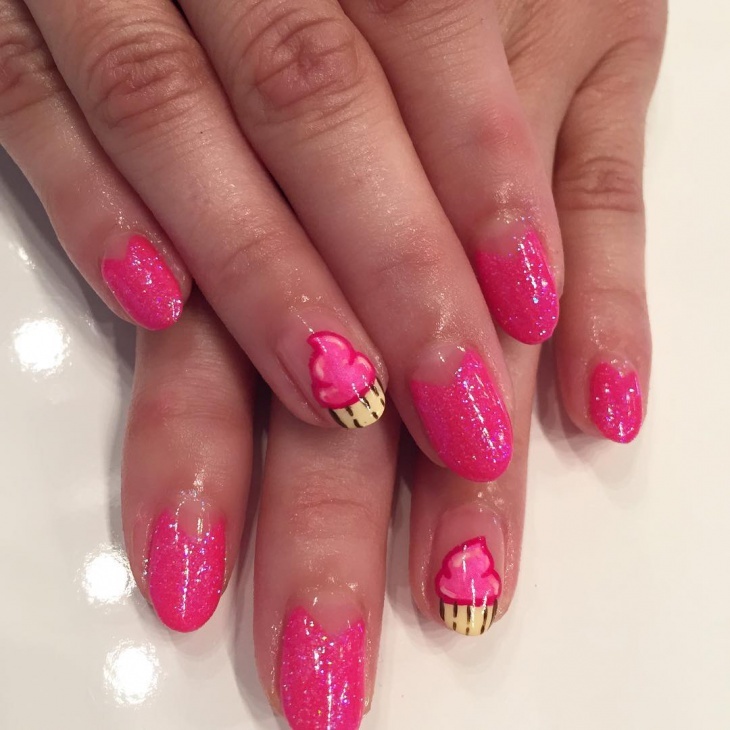 If pink is your favorite colour and if you love cupcakes, what are you waiting for? 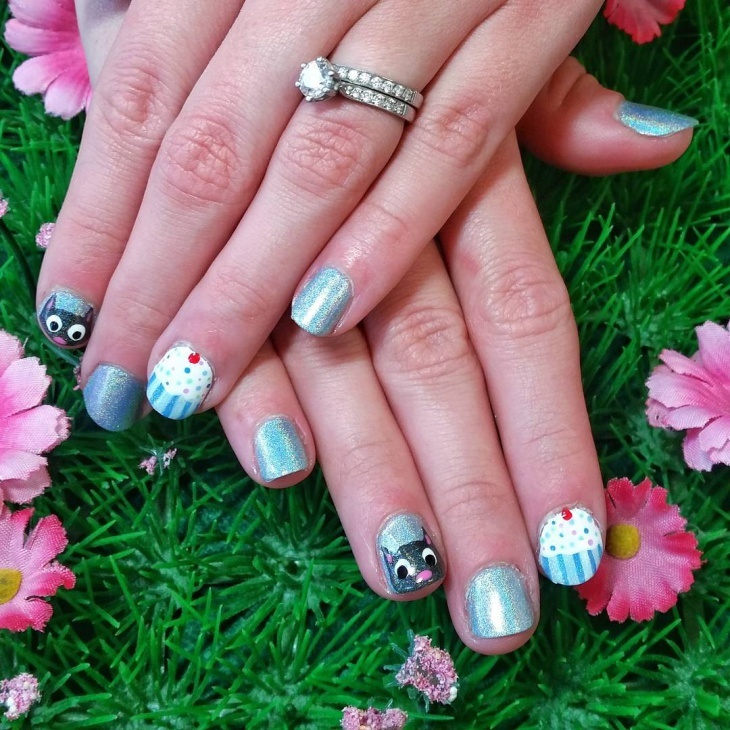 Just go to the parlour next door and get your pretty nails done. 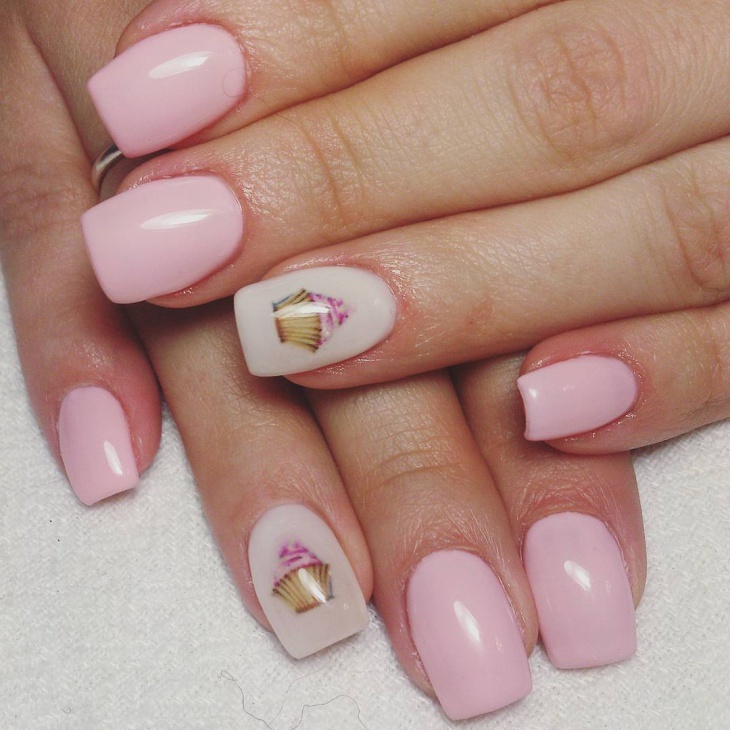 Pink occupies majority of the nails leaving only one empty spot on each hand available for the cupcakes, but hey, we still love it. Not a lot of people experiment with a lot of colors on their nails. But after looking at this design, you will not think twice. This deep blue cupcake is done so well with the shinny white. 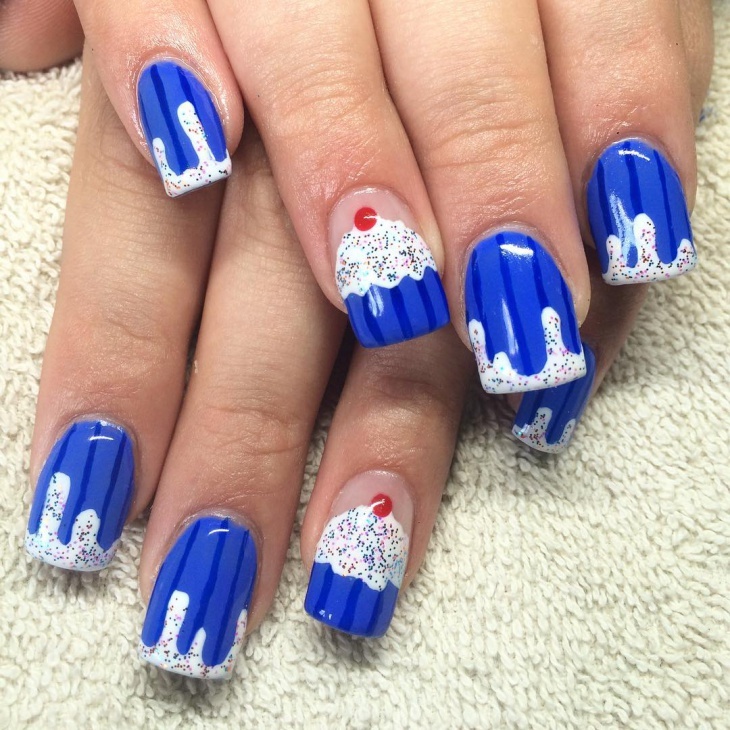 If you have round nails, don’t worry we have a solution for your pretty nails. 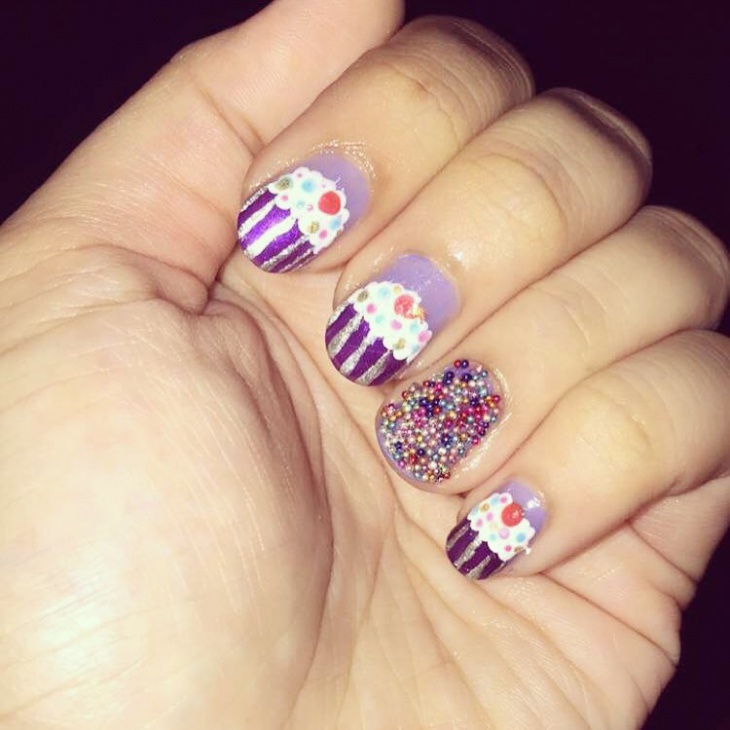 The polka dotted cupcake design on your nails will look cute and attract attention from everyone. We love it when there is shimmery stuff and that’s how we fell in love with this too. 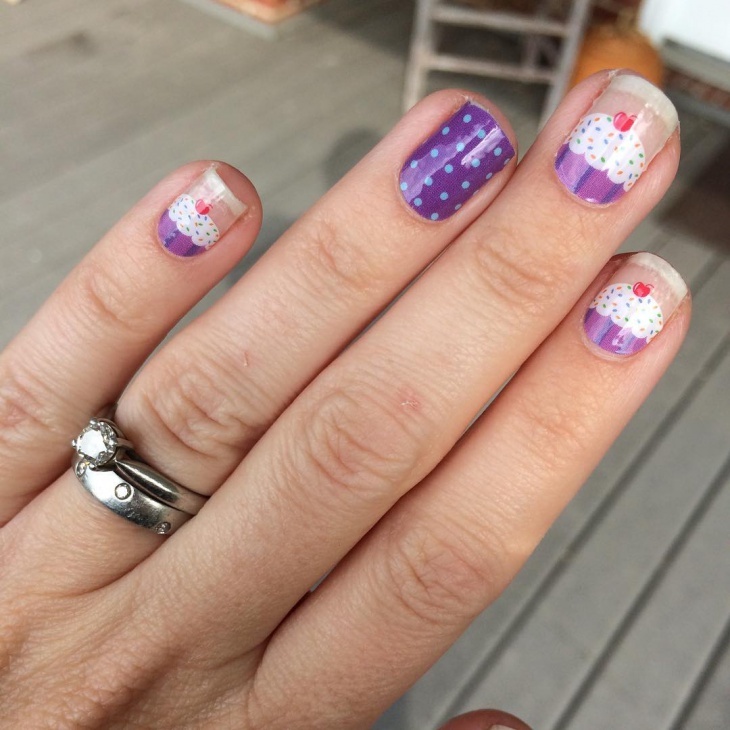 This design has plain shimmer with no over or under layer and two nails painted with shimmery cupcake design. 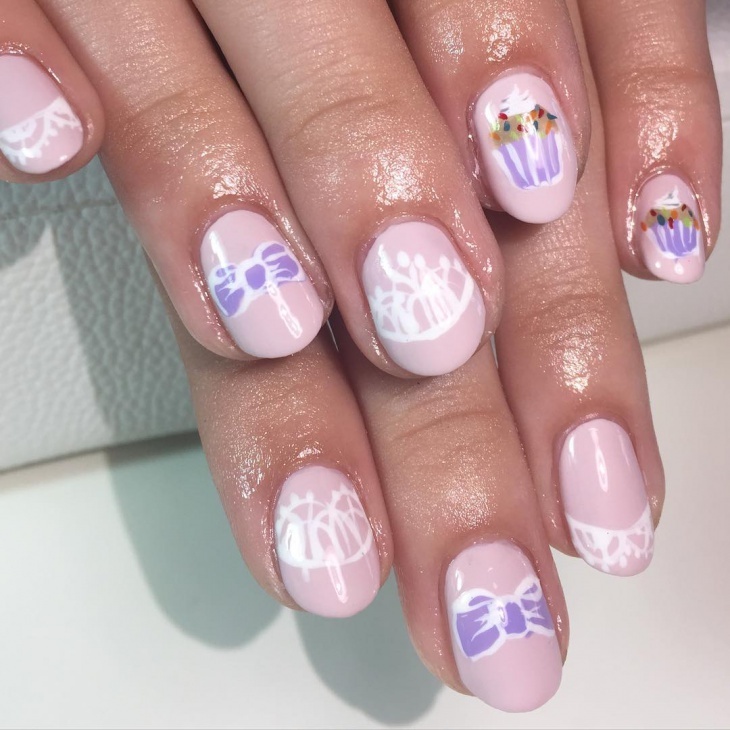 This acrylic nail art is very pretty. 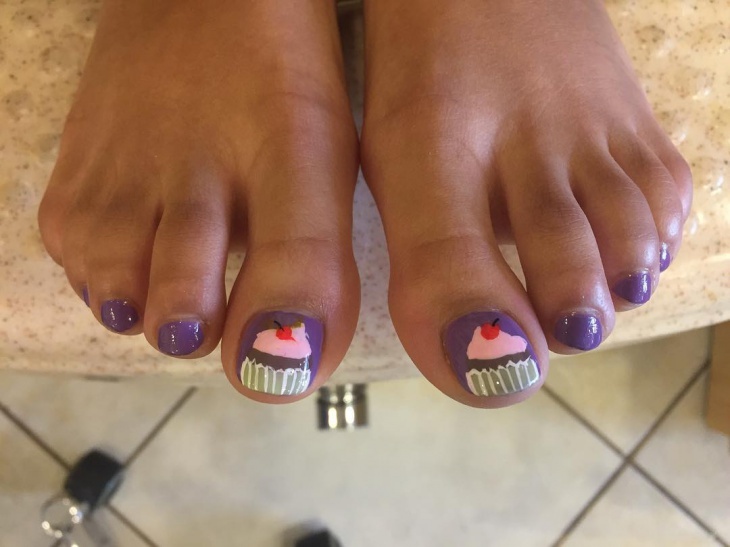 Well this design had majority of cupcakes on them. This is for a person who is bored of regular designs and wants to try out something different and funky. 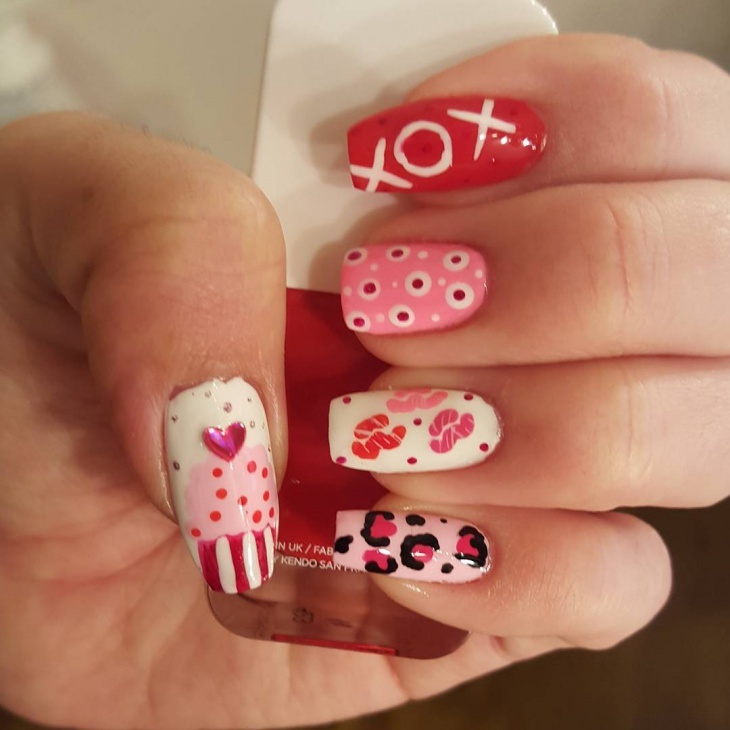 This nail art is for an artistic person who loves trying out new and funky designs and doesn’t mind going a little out of the box. Someone who doesn’t differentiate between cute and elegant and doesn’t mind anything that looks different and will stand out. This is a very plain and simple design. This is for someone who wants something cute but no too much of it. 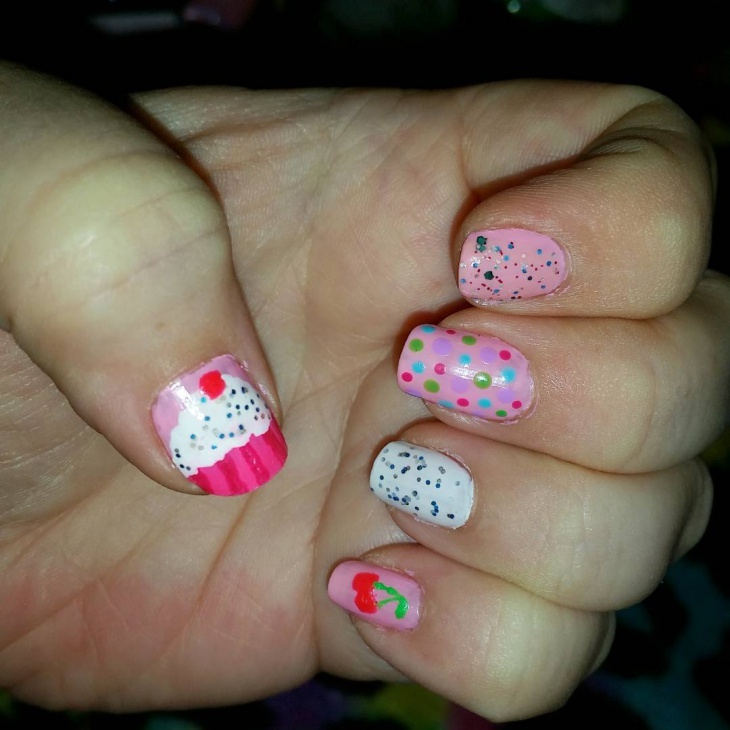 A complex cupcake designed on one nail and a simple cupcake designed on the other makes it look neat and polished. 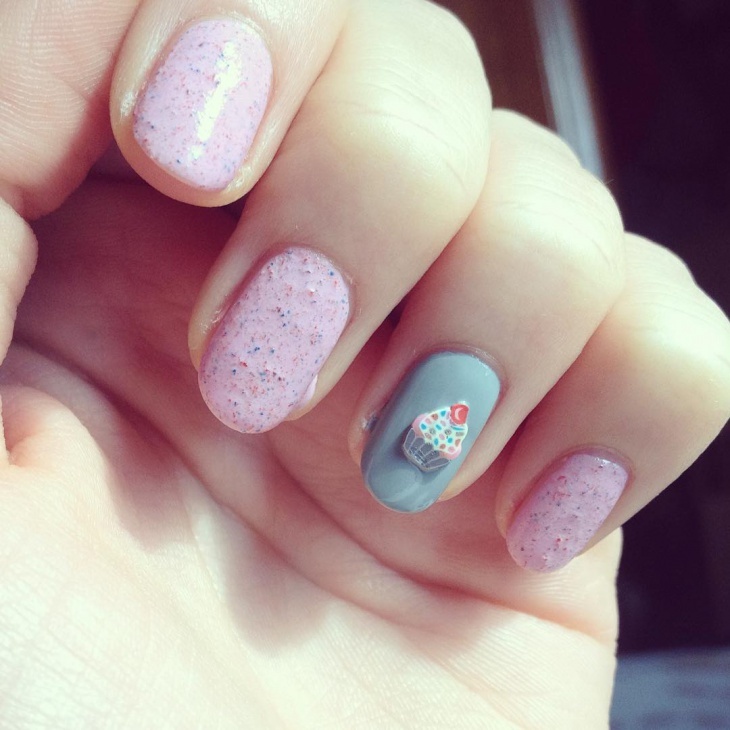 Who loves some cupcake sprinklers? 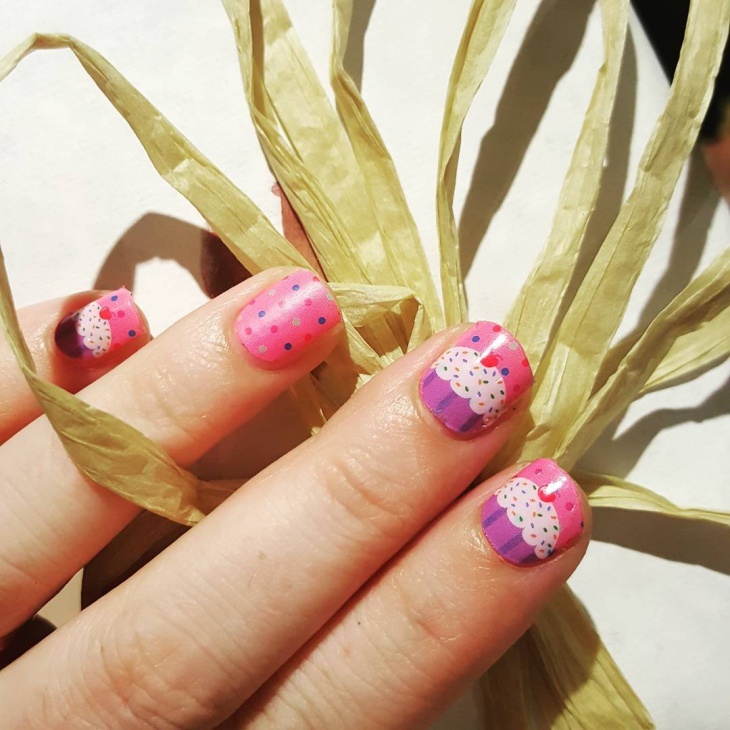 Well this design has lots over it and we think you will get tempted to try them on your nails too. 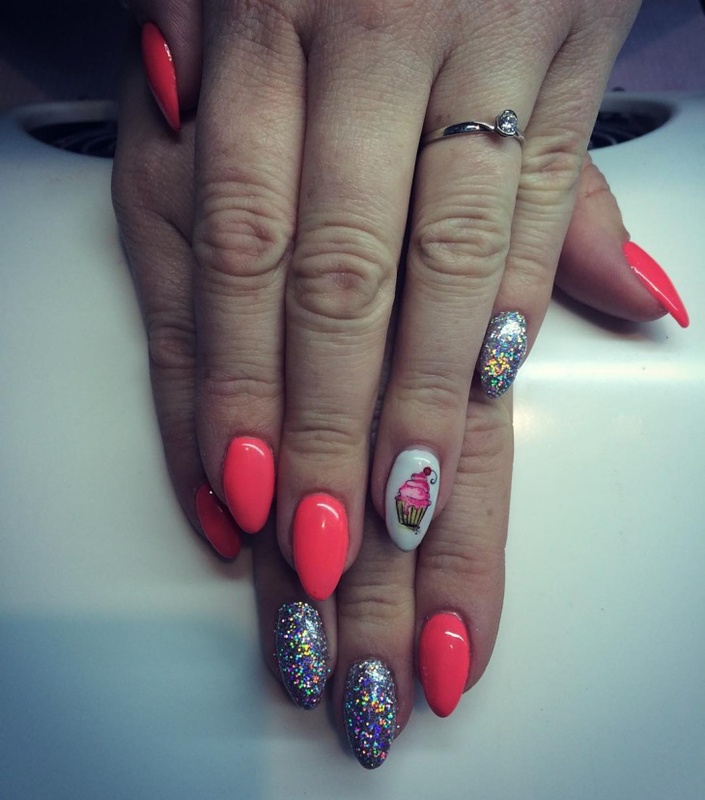 We love the different variation we have across the nails. Doesn’t this look very catchy? 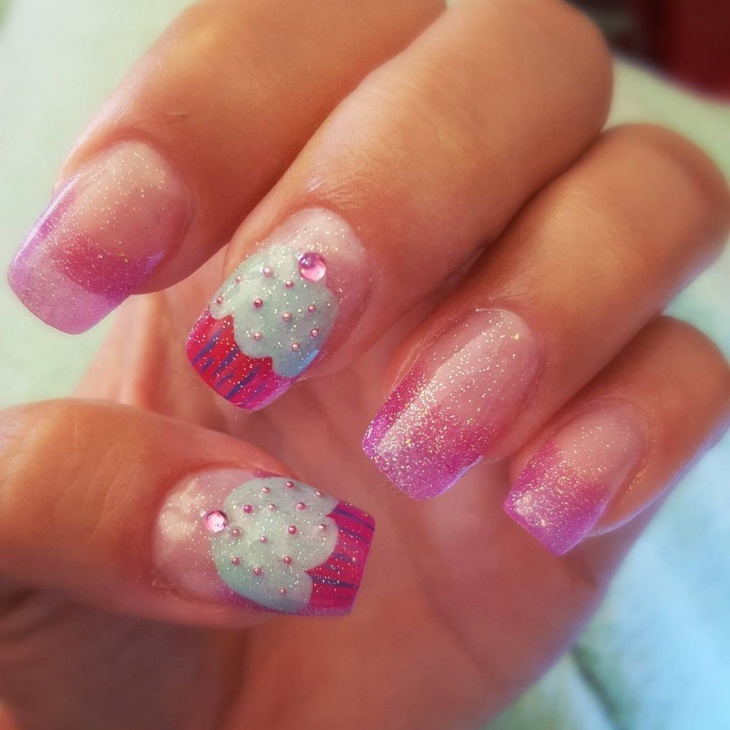 This is just simple pink paint with cupcakes drawn all over them. 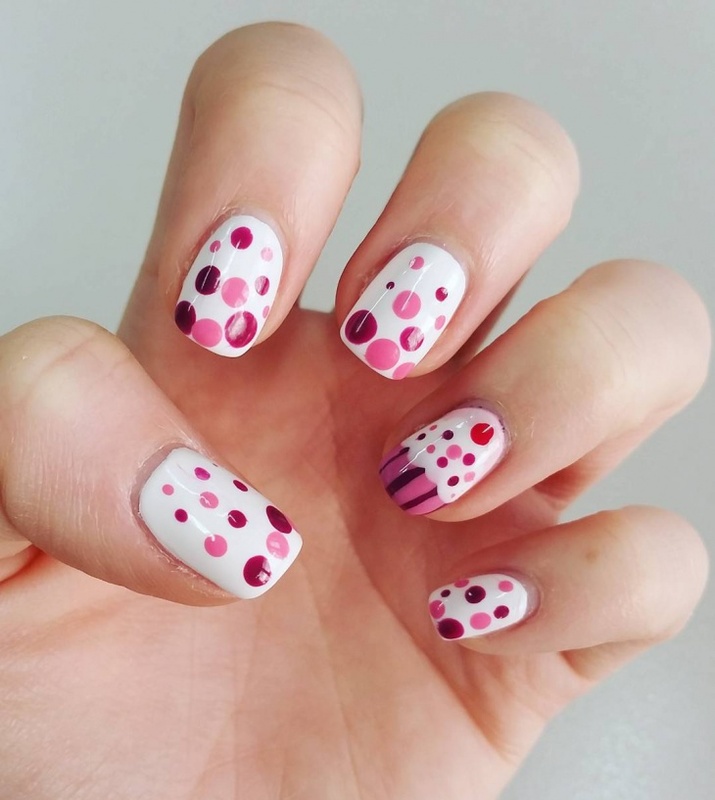 There are polka dots too all over them just the way we like it. 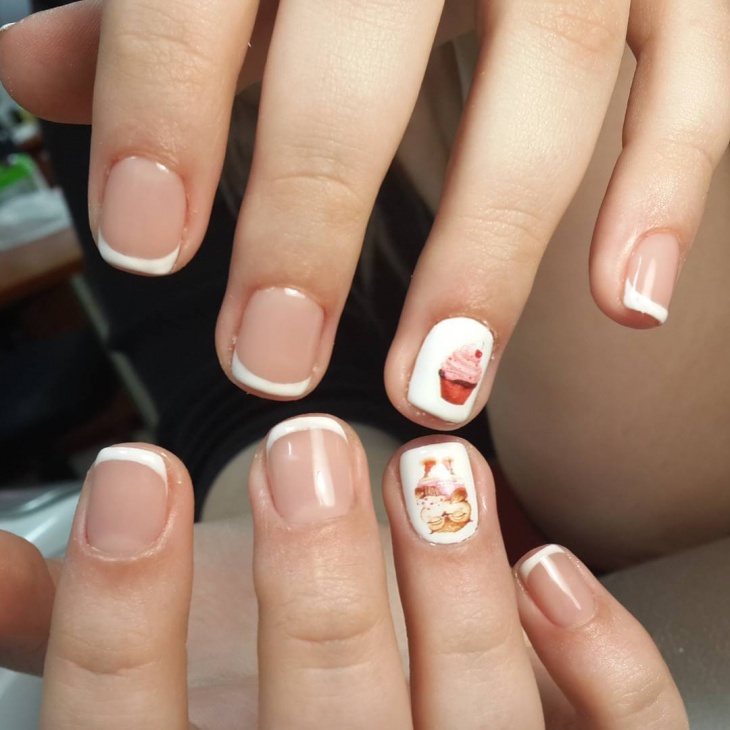 Well, it’s time to visit the nail salon soon and get these cute designs done or maybe you can try doing them on your own. You have the designs now, you just have to choose the one you love.